Whether you’re trying to raise money for a child’s medical or educational expenses, adoption fees, or club and organization costs, the thought of covering these expenses might seem unattainable. However, with the support of your friends, family members, and the community, it’s possible to reach your goals and cover expensive fees. Thankfully, there are plenty of ways you can gain a team of supporters and raise money. We’ve compiled a list of 22 fundraising ideas individuals can use to raise money for kids. In our list of fundraising ideas, we’ll provide tips and tricks to help boost your campaign’s success. And to make the hunt for the perfect fundraising idea a little easier, we’ve also added rankings for fundraising potential, cost, and popularity. Feel free to combine ideas to help reach your goals. Now, let’s dive into the ideas, starting with our top pick. At first glance, selling t-shirts might seem like a complicated fundraising idea. But it’s really easy once you find the right platform! 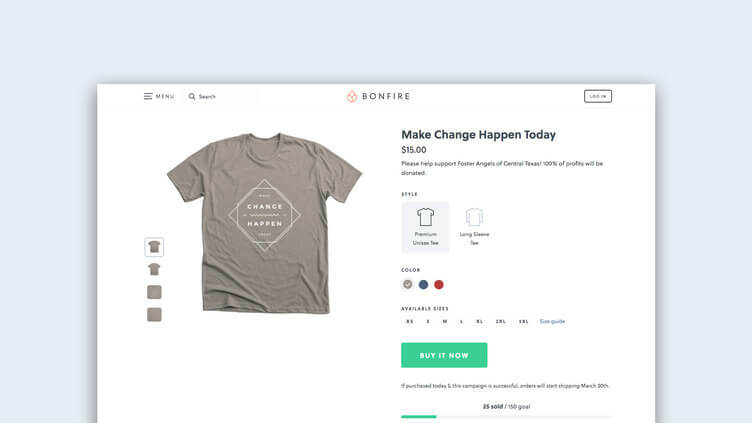 For example, Bonfire offers a free t-shirt design tool for individuals and nonprofits to use when they’re setting up their t-shirt fundraiser. Plus, you won’t have to worry about printing or shipping your shirts because our team handles all the hard work for you. The key to making a successful t-shirt fundraiser relies on two things: a compelling design and regular promotion. 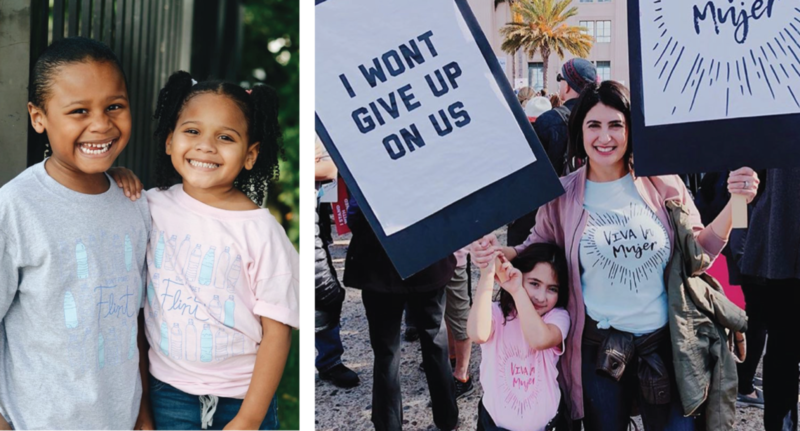 With a t-shirt fundraising platform, you’ll be able to create a t-shirt that looks beautiful and matches your cause. Look for a platform with social sharing buttons so you and your supporters can share the campaign, widening your reach. Are you looking for a quick and inexpensive fundraising idea? The balloon raffle is the perfect option because people of all ages can participate and help you raise money. All you need for this fundraiser are a pack of balloons, raffle tickets, and a prize. Place raffle tickets inside the balloons before you blow them up. 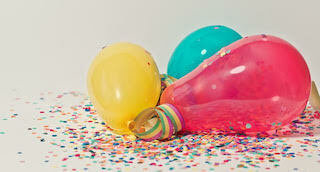 Supporters can pay $1 to pop a balloon and collect the raffle ticket. The person with the winning raffle ticket gets the prize. It’s that easy! 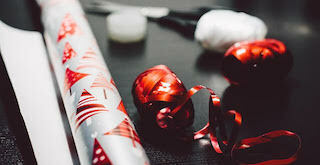 If you’re looking for a way to raise money during the holidays, then why not offer gift wrapping services to people around your neighborhood? This fundraising idea for kids doesn’t require much: just wrapping paper, tape, scissors, and ribbons and bows. You can set up shop in a well-trafficked area of your community, or post flyers around town letting people know about your services. Let people know why your raising money. Knowing that they are helping an admirable cause may motivate them to use your services and tell their friends to do the same. Matching gifts are a great way for organizations with kid-centric missions to maximize the impact of their supporters’ donations. 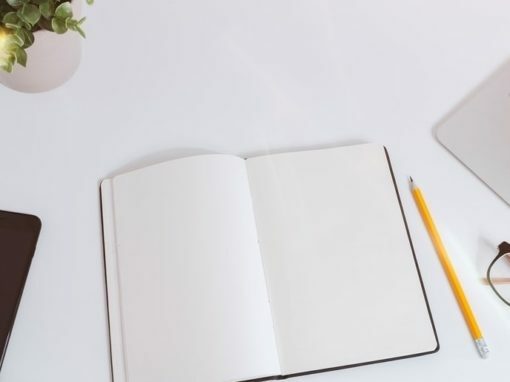 By filling out some simple forms, donors can take advantage of their employers’ corporate philanthropy and have their gifts matched by their employer. The only problem with these programs is that people don’t know about them! Invest in a database like Double the Donation to make it easy to find matching gifts programs and distribute that information to your supporters. The beauty of this is that your donors don’t have to dig any deeper into their pockets. They just have to ask their employer to match their gift, then boom! Your nonprofit has more funds to support their missions, and your supporters got more bang for their philanthropic buck. Put a twist on a classic by hosting a themed bake sale. Bake sales work great for fundraising ideas for kids, especially when you’re trying to raise money for a club or sports team. Brainstorm themes that relate to why you’re raising money, and recruit volunteers (a.k.a., other parents) that are willing to make delicious treats for your sale. For example, if you’re raising money for your child’s chess club, you can bake cookies shaped like chess pieces! You can sell your baked goods at your child’s school or around your community. Community members will enjoy purchasing tasty treats that relate to your cause. If your organization is hosting a fundraising event and looking for a way to raise additional money, having a kids’ face painting station is a great option! For this fundraising idea for kids, you’ll need face paint, brushes, and a volunteer with enough artistic ability to paint designs on children. 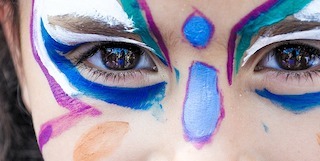 Have a flat-rate price for the face painting, and let kids pick what designs or animals they want to be painted. You can also have a donation jar present for the parents that wish to give more to your cause. A straw draw is a simple and inexpensive fundraising idea that is perfect for clubs and sports teams. For this fundraising idea, you’ll need a pack of straws and a few small prizes. Write down different perks on a piece of paper and attach one to every straw. Place the straws in a container and charge 50¢ to pick a straw. It’s a win-win for everyone involved: the kids get an awesome prize, and you can raise money for their club or team! You probably have a lot of items around your house that you’re no longer using. If they’re still in good condition, why not sell them in a yard sale to raise money for kids? 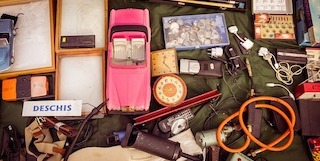 Gather the things you want to sell and ask your friends and family to donate their items as well! Display all your wares on your front lawn to attract interested buyers. If you want to draw more attention to your yard sale, post flyers around the community a couple days before the event and send out reminders to all your friends and family members. No one can resist a slice of hot, cheesy pizza! That’s why we recommend you host a pizza night to raise money for kids. Keep your costs low by partnering with a local pizza shop. Many pizza providers have charitable programs that will donate pizza or a percentage of the proceeds to help local clubs or teams. If you can’t collaborate with a pizza shop, you can always host your own pizza night at your child’s school or your own home. Buy several large pizzas and charge by the slice for a fun-filled night! When the warmer months roll in, having flowers around the house can brighten up any room. Selling flowers around your community is a quick and easy way to raise money for kids. 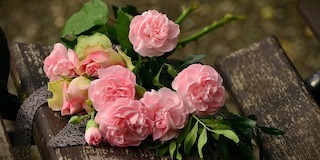 Keep your costs low by working with a local florist to purchase flowers at a discounted price. If you tell them why you’re raising funds and mention the promotional benefits, they’re more likely to work with you. You can sell flowers by the dozen or create custom bouquets with the flowers you buy. Either way, you’ll be surprised how much you raise by selling flowers. Fun for the whole family, a backyard barbecue can be an easy fundraising idea for kids when you get the help of your friends and family. Ask guests to donate a side dish to your event, and you can provide the barbecue staples like burgers, hot dogs, and chicken wings. That way, you won’t be stuck cooking every dish. Charge admission to enjoy the food and other fun activities. Invite the entire neighborhood to raise the most funds possible. Similar to a cook-off, a cupcake war is a battle to see who can bake the best cupcakes. 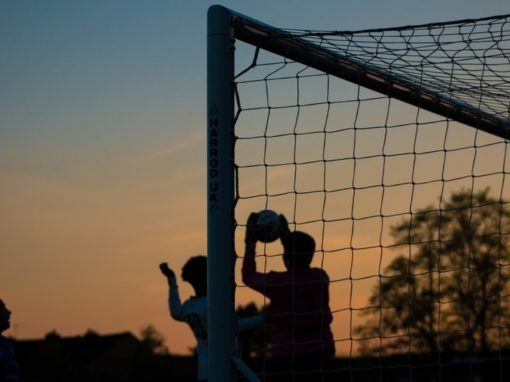 If you’re looking for a creative fundraising idea for kids, this is the perfect option because people of all ages can compete to win the prize. Best of all, you’ll raise a lot of money for your cause. To launch your cupcake wars, you’ll need to find people to compete. Ask them to pay a small registration fee, and on the day of the event, have them bring their best cupcakes. 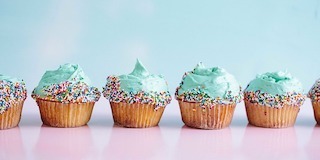 People can vote for their favorite treat by placing money beside their favorite cupcake. The person that made the cupcakes with the most money is the winner! Taking pictures with Santa during the holidays is a classic tradition that families enjoy. 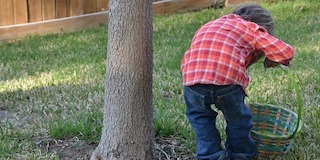 If you have a knack for photography, why not organize a fundraising idea for kids by taking photos? 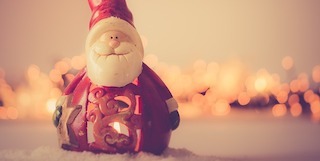 Have one of your friends dress up as Santa, and let families in your community know that they can avoid the lines at the mall by choosing your service. You can charge for the photo session and send families digital copies of the photographs you took. For an additional charge, you can send them printed images. Everyone loves their pets and would jump at the opportunity to celebrate with them. Feel free to get as creative as you want with this fundraiser, making it as upscale or casual as you’d like! 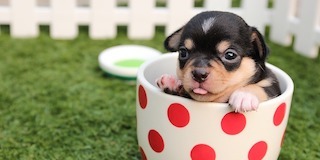 If you need venue space, you can always collaborate with a local pet-friendly business. Or you can have pet owners come to a nearby park with their animals dressed up. Either way, set up a donation table to accept contributions and offer food and drinks for a small fee. 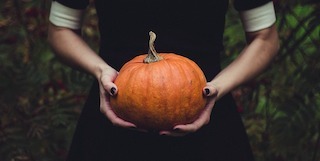 If you’re looking for a way to raise money in the fall, why not sell Jack-O-Lanterns or host a pumpkin carving party? Pumpkin carving is not only fun for the entire family, but it’s also a great way to bring the community together in a creative way. All you’ll need for this fundraising event are pumpkins, carving tools, and paint. You can either charge admission to join the festivities or sell the pumpkins individually. Make sure to have food and refreshments on sale as well. What if you could get your kids to enjoy the outdoors and raise money for your cause all at the same time? That’s where the Olympic games fundraiser comes in! 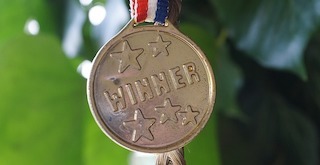 Plan a field day with plenty of competitions and sports games for children of all ages. Spread the word about your event via social media, and invite the whole community to attend. Charge a registration fee for teams and individuals to participate, and make sure you have plenty of medals for all the winners. 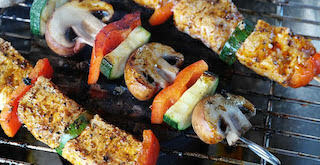 Are you an amateur chef with recipes you want to share? You can create and sell cookbooks as one of your fundraising ideas for kids. To get started, you’ll need to collect your recipes and arrange them into a book. Once you have the design and order of your recipes complete, you’ll need to find a publisher that can print your books for a low price. 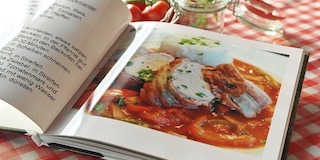 Sell your cookbooks around the community and online. 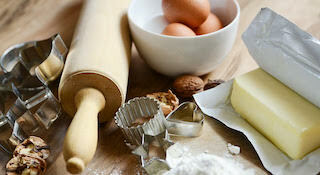 You’ll be surprised how many people donate money to get access to your recipes! A scavenger hunt is a fun fundraising idea for kids that can get entire families involved in supporting your cause. Best of all, planning and hosting a scavenger hunt isn’t difficult. The first step is to map out your course and clues. Adjust the level of difficulty depending on the age group of the kids participating. Next, you’ll need to procure prizes. Keep your costs low by asking friends and local businesses to donate a prize for your event. Reading is a fun way to travel to new places and go on epic adventures. You can encourage kids to read more and raise money for your cause by hosting a used book sale. 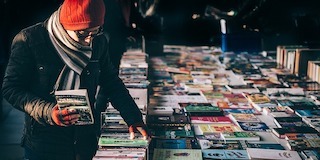 Focus your sale on a specific theme, like books about space travel or magical adventures. With a compelling theme, you’ll draw in more people to come buy your used books. Collect gently used books from your shelves and ask friends and family members to donate the novels they no longer want. Set up shop at your elementary, middle, or high school (with their permission, of course! ), and sell books to students and teachers. Hosting a community carnival won’t be easy, but the amount of funds you can raise for your cause is worth the effort. If you’d like to have a community carnival, we recommend partnering with your child’s school. Working with a school gives you space to host the carnival, and they can help you recruit volunteers and carnival games. 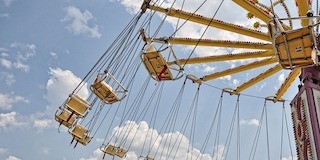 You can raise money through this event by selling tickets that give guests access to the food, games, and rides at your carnival. 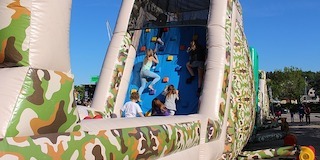 Playing on jungle gyms is fun for children of all ages, and you can put a twist on this beloved pastime with an obstacle course fundraiser. In a field or park, you can create your own obstacle course complete with parking cones, ropes, slip and slides, and tires. Create a competition to see who can complete the course in the least amount of time. Have participants pay a registration fee, charging a little extra for those that want to enter as a team. Raise money for your cause by hosting a night full of fun and singing. A karaoke night fundraiser is a simple idea once you’ve got the cooperation of a local restaurant. If the restaurant doesn’t normally do karaoke, you’ll need to rent a machine. Invite all your friends, family, and community members to enjoy a night filled with good food and singing. Ask the restaurant to donate a percentage of the night’s proceeds to your cause for a simple fundraising idea that’s fun to plan! From selling t-shirts and cookbooks to hosting pet parties and karaoke nights, there are plenty of ways you can raise money for kids. We hope our list of fundraising ideas has inspired you to raise money for your cause in a creative and unique way! Are you ready to create a stellar t-shirt fundraising campaign? 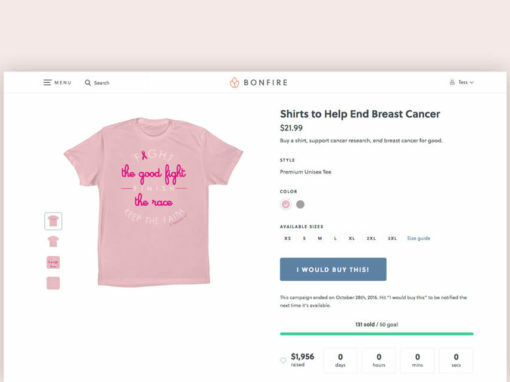 Create a Bonfire campaign today and start selling t-shirts to raise funds for kids. Whether you’re fundraising for your environmental organization, supporting your local animal shelter, or raising money to cover your adoption costs — there are endless reasons why you or your organization needs to raise funds! Raising money for your mission can be difficult, especially when you’re not sure where to start.